Moana and the Tribe. From left: Scotty Morrison, Marika Hodgson, Paddy Free, Cadzow Cossar, Mickey Ututaonga, Amiria Reriti, Trina Maniapoto, Moana Maniapoto, and Laurence Kershaw. In fact her career has been so all-encompassing – from winning international songwriting awards and taking her music to places as far-flung as Vladivostok, Greece, the Chatham Islands, New Orleans, Berlin, Istanbul and the United Nations, as well as attending conferences for indigenous artists and activists – that it is more convenient to break it into parts. Moana and the Tribe, Isle of Lewis, Scotland. 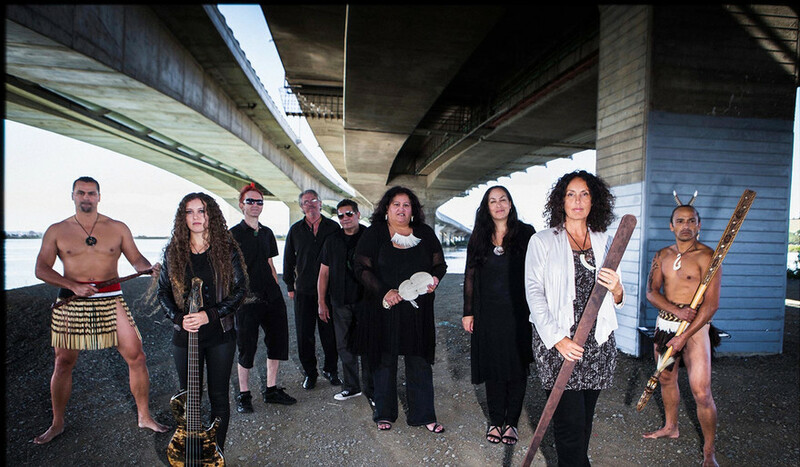 From left: Laurence Kershaw, Kemara Kennedy, Paddy Free, Marika Hodgson, Trina Maniapoto, Moana Maniapoto, Mickey Ututaonga, Cadzow Cossar, and Horomona Horo. Her former band Moana and the Moahunters released powerful and memorable songs such as ‘Treaty’ (“the treaty won’t go away”), ‘Ancestors’ and ‘Moko’ but in 2002 she formed Moana and the Tribe. Since then, the music seemed to have become deeper, more spiritual, political and widescreen. Their 2002 album Toru – in a cover designed by Shane Cotton – included contributions by taonga pūoro masters Richard Nunns, the late Hirini Melbourne and Rangi Rangitukunoa, haka by Scotty Morrison (who became a member of the Tribe), Ardijah founder/bassist Ryan Monga and her core players from the Moahunters, Cadzow Cossar (guitar), plus singers Amiria Reriti and Moana’s sister Trina Maniapoto. Moana and her sister Trina Maniapoto. The album went to No.17 on the European World Music Chart and, as before, the group hit the international touring circuit. Although Maniapoto and her partner Toby Mills do spend a lot of time in Aotearoa (making award-winning documentary films), their professional lives seem to be more acclaimed and accepted abroad. 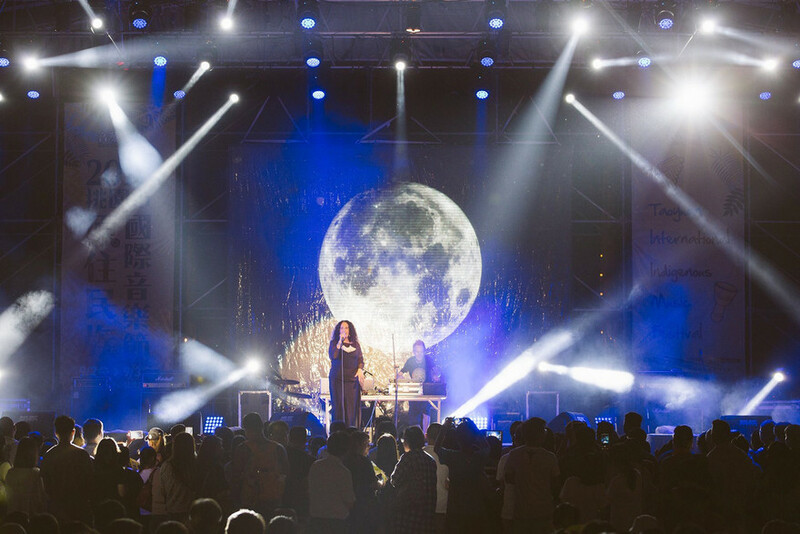 Touring in this country can be expensive, she has said, yet international venues and scheduling can be easier to organise and more profitable. With a large group like the Tribe on the road, the bottom line has to be addressed. In 2003 for example they appeared at the premiere of The Whale Rider in Germany and Austria, launched their Live and Proud DVD in Berlin and represented New Zealand alongside 28 nations at the Cultural Olympiad in Greece. Back home that same year, Maniapoto was made a member of the Music Industry Export Development Group to take local music to the world. She seemed ideally placed to do that, not just because of her deep engagement with Māori music and musicians but because of her extensive international experience. Moana and the Tribe in Augsburg, Germany. And she saw the link between home and abroad, as she told me in 2003 while shaking her head that teaching Māori in schools was still considered a controversial issue. “Kids in Europe speak so many different languages. It’s to our detriment that we don’t because everyone misses out on so much. It’s what makes us unique. “On the Music Export Council I think we need to build local capacity, especially in kaupapa Māori. I’ve always believed Māori music is best positioned to succeed overseas if the musicians can get strengthened back here. “If you hear music on the radio, that will inspire musicians to write a certain way. So if we heard more Māori language music it might up the ante in terms of production of Māori music songs. There is a lot being produced but we need to be matching musicians with excellent producers, that’s a gap. “Having spent the last three years looking at the international market I’ve thought I’ll just carry on and do what I like – which is what most musicians do anyway – and see what happens. “Kaupapa Māori music has the biggest chance overseas because once you get over there, there are a million groups who sound like some of our [pop and rock] artists here. That’s not saying they aren’t fantastic, but there’s just too much competition. Maniapoto has numerous points of difference: a trained lawyer (who didn’t practice); an articulate spokesperson for Māori, women and indigenous cultures; a musician and filmmaker who collaborates with people across a wide social, political and musical spectrum. But for many years she seemed almost marginalised as a stroppy Māori woman out to make a statement, although conceded she was when talking to Lydia Jenkin of New Zealand Musician magazine in 2008. “When I first started singing, I guess a lot of it was to do with making a political statement. Here’s Māori music, Māori language, we’re here in your face. So it was very politically driven. I felt like I needed to make a statement. “But now, there’s still some of those sentiments there but I don’t feel so driven to be ‘the voice’ for Māori through music. “It becomes quite tiring, all the arguing and challenging and then you end up being painted into the corner. You know, ‘There’s that Māori activist’. It has been Maniapoto’s lot to constantly have to address politics whenever she has new music out with the Tribe, but she accepts it comes with the territory and – this may surprise many who have stereotyped her – she is warm, personable, wickedly funny and very down-to-earth. However when given a serious platform – as she often is at home and overseas – she makes very clear points. When being inducted into the Hall of Fame, for example, she said, “Journalists always ask, what came first, the music or the politics? She also noted, “with every music video we did, we were on a mission to shove as much Māori into the faces of every New Zealander that we could. It was about us feeling good about ourselves. Look. Here’s another koru. Moana and Paddy Free onstage in Taipei. And her journey has been enormously successful. In 2004 she became the first non-American to win the Grand Jury Prize in the International Songwriting Competition. It was for ‘Moko’ which beat out more than 11,000 other songs. That same year in addition to receiving the New Zealand Order of Merit for services to Māori and Music she was made a lifetime honorary recipient of the Toi Iho-Māori Made Mark denoting work of high quality and authenticity. The following year she was awarded Te Tohu Mahi Hou a Te Waka Toi in recognition of her outstanding leadership and contribution to the development of new directions in Māori art. 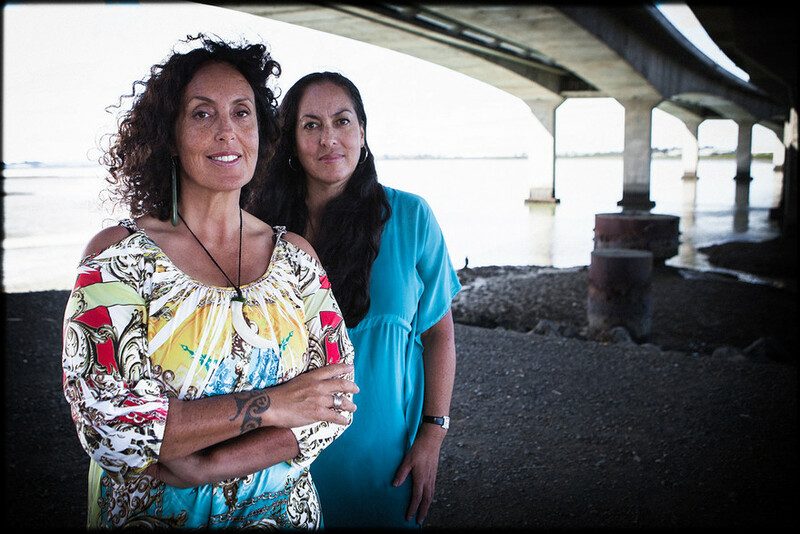 The journey was on-going: Moana and the Tribe’s 2008 album Wha was almost exclusively in te reo and while the Tribe has core members, over the years many others – more than 30 – have brought their special gifts to the group’s sound. Among those on Wha were bassist Max Stowers, programmer/producer Mahuia Bridgman-Cooper, cellist Ashley Brown (of the New Zealand Trio), Horomona Horo and Richard Nunns (taonga puoro), violinist Miranda Adams and saxophonist Chris Nielson. The album was co-produced by Maniapoto, Bridgman-Cooper and Simon Holloway. 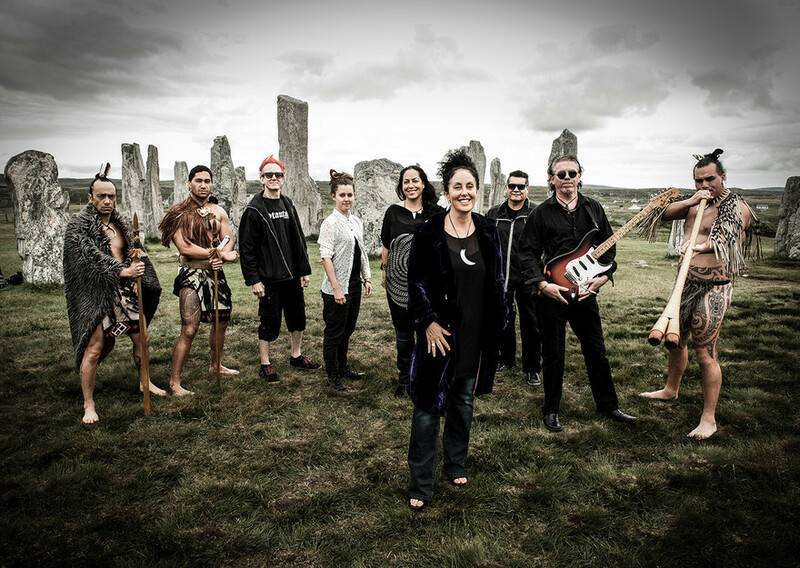 Maniapoto has always drawn talented artists and creatives towards her, not the least being producer Angus McNaughton early on and her longtime manager Sol de Sully who booked the Tribe a 36-date European tour without even seeing the band. That faith has been rewarded in the 15 years since: he has got them everywhere from the Montreux Jazz Festival in Switzerland to the Rainforest Festival in Sarawak. 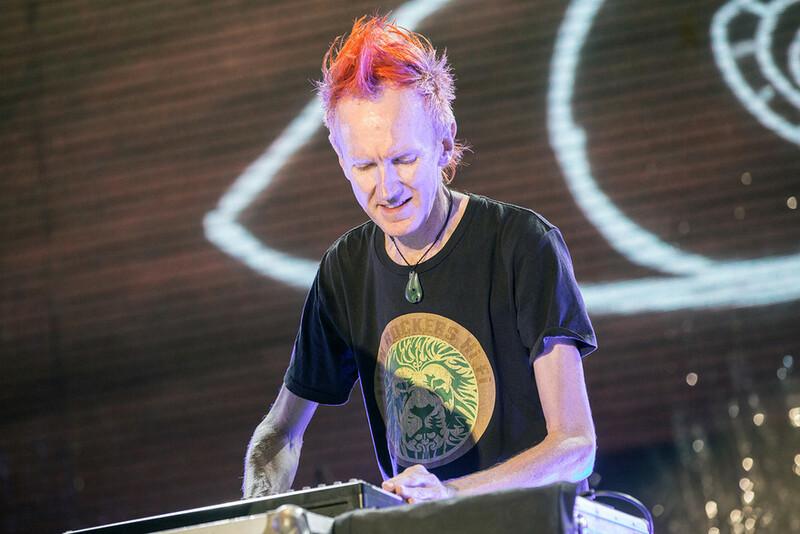 Notable among the Tribe’s musicians in recent years has been keyboard player/programmer and producer/engineer Paddy Free of the electronica duo Pitch Black. 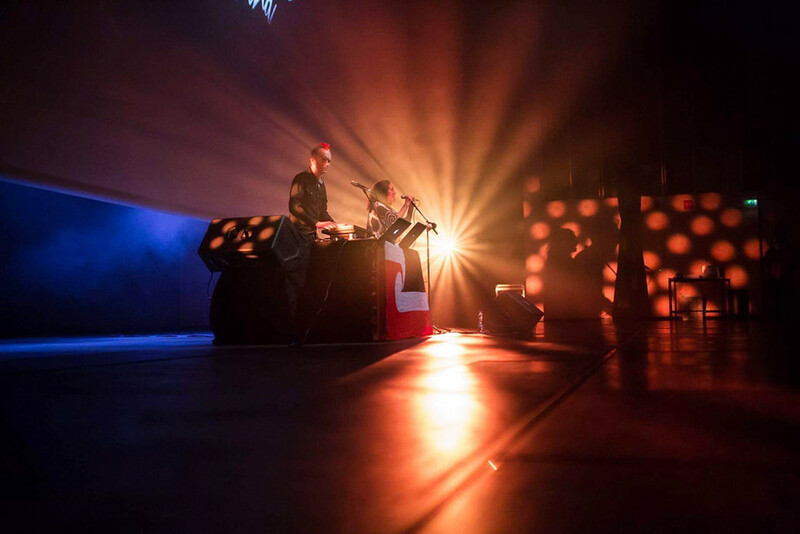 With him, Maniapoto has found a sound which is partly electronica dub reggae and partly haka in its powerful rhythmic pulse as heard on the remarkable Rima album of 2014. “I hear lots of reggae and I love it,” she said at the time, “but we hear lots of different reggae when we’re traveling, especially in Europe where there’s more dub-inspired reggae. It is big dancey bombastic stuff. Some of the New Zealand reggae I feel I’ve been there and done it. It’s sunny and Pacific and it just doesn’t do it for me. 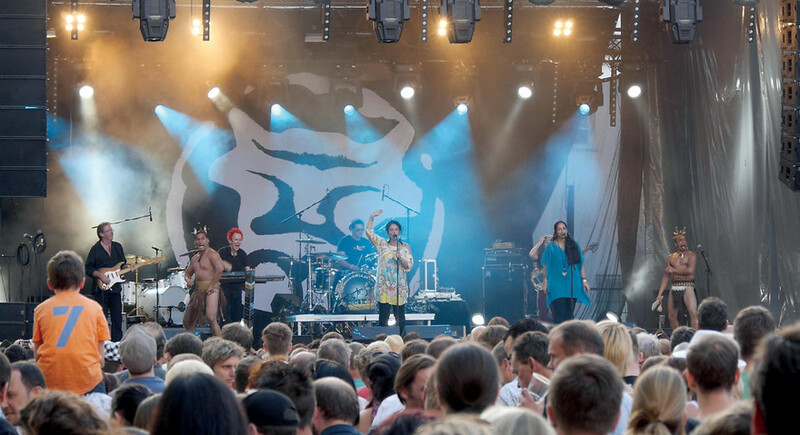 Moana and Paddy Free performing in Finland. She also traces her distinctive new style to a change in her vocal influences. In a sense, by finding that lineage she has also discovered her own voice although to this day she says she has no idea how hits happen. They don’t in a chart-determined definition of success. “Our songs are too long anyway. I never write for radio because that just doesn’t work and Paddy just doesn’t do short. Yet music is just one platform for Maniapoto, there are the numerous and on-going film projects with Mills, collaborations with musicians/performers from places as far-flung as Taiwan and Scotland, and her political work which takes place a bit further back from the spotlight. Moana Maniapoto may be successful and influential but she is also gracious and clear-eyed, as she noted in that Hall of Fame acceptance speech. “Ēhara taku toa i te toa takitahi, he toa takitini. My achievements aren’t mine alone but of the many,” she said. And she took the moment to open up a new debate about Māori music when she said, “it’s time for the Crown to institute a quota for Māori language music on every radio station that plays New Zealand music – because its good, because it really is ‘New Zealand on Air’, because we have a treaty. It was another firecracker thrown out there, but she knew what she was saying.